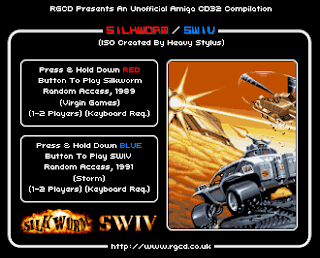 Following on from our R-Types release, this compilation is a CD32 tribute to Random Access' superb conversion of the Temco arcade classic Silkworm and it's 16-bit sequel SWIV. 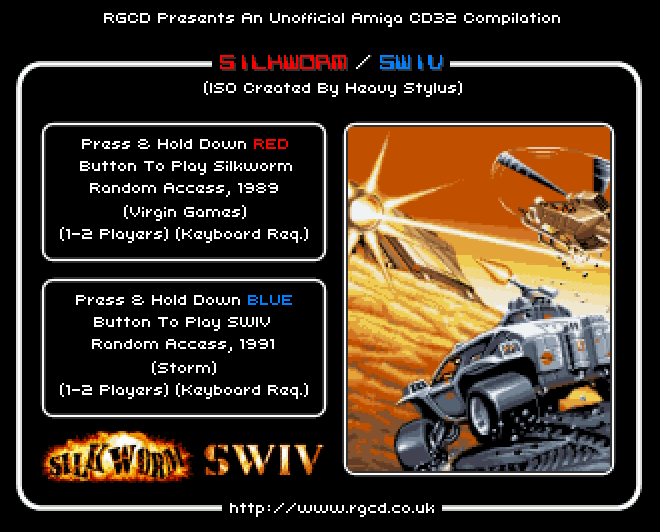 The two games have both stood the test of time well - Silkworm is a near perfect port of the coin-op original, and SWIV is simply one of the best 16-Bit shooters available (despite the use of 16-colour Atari ST graphics and lacking any in-game music). In both titles the two different vehicles each have their own strengths and weaknesses, but there's no doubt that the best way to play them is with two players working together. 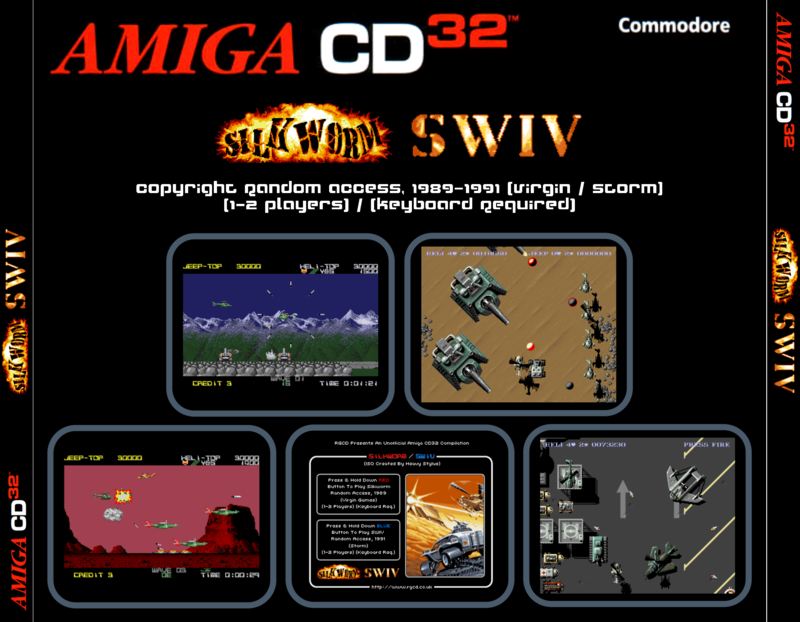 It's a real shame that a keyboard is required to access the game options and change the default control for player two, as aside from this both Silkworm and SWIV play really well on a standard CD32 console (note that you can still play both games through to completion in single player mode). 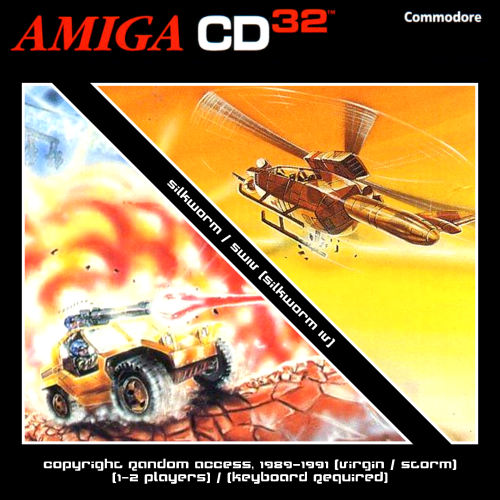 Keyboard commands are included on the CD insert provided. This compilation would have been impossible without the hard work of Wepl (for WHDLoadCD32) and Abaddon, JOTD, Mr Larmer and Harry (for the game patches used).